A great crew to get away for the day with. 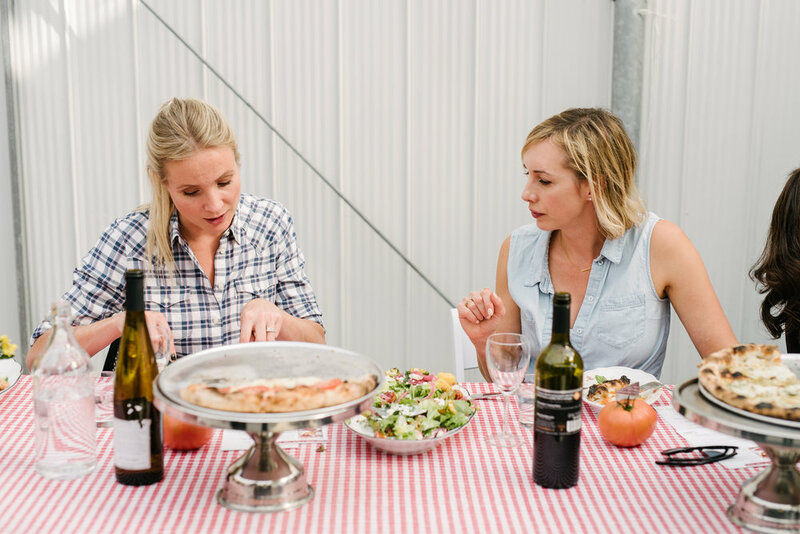 We talked, we learned and of course we ate pizza and drank wine! 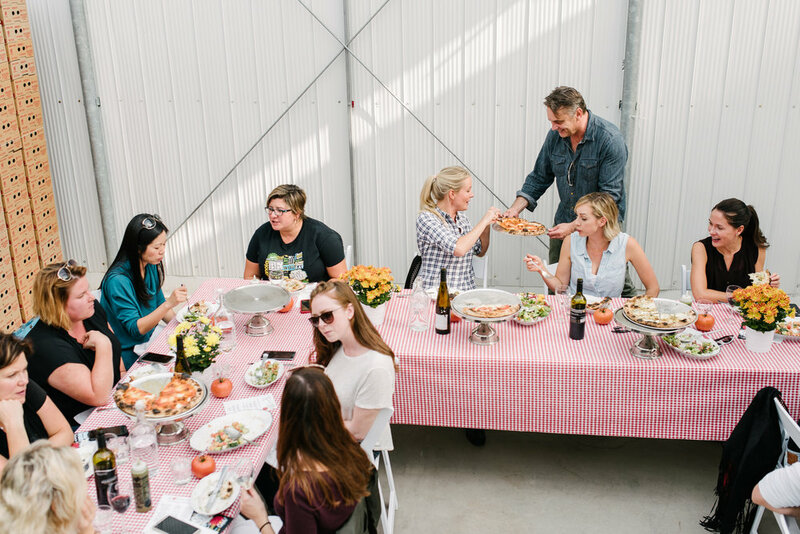 Recently, I was presented with a pretty awesome opportunity: A day off in the country courtesy Canola Eat Well, touring a farm, talking and learning about good food, and enjoying lunch made by one of my favourite chefs, Victor Barry of Piano Piano restaurant. So obviously, I was totally ok with that idea. I also was lucky enough to invite people to come with me on this awesome day. One morning after one of my son's very early wake-ups (he's 18 months, so it happens quite a bit) while drinking a rather large coffee, I realized that no one needs a little vacation quite as much as mamas do. 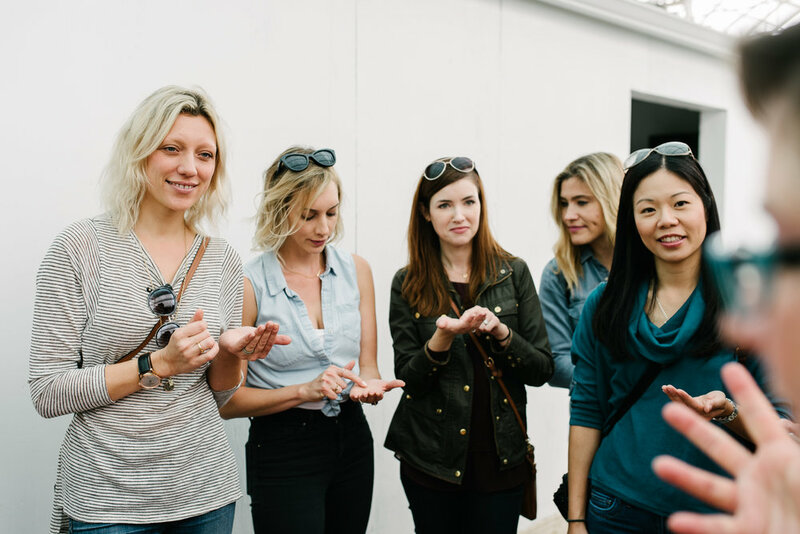 So naturally I reached out to some of the coolest mamas I know to join me on this little adventure. Arriving at Link Greenhouses and beginning our tour. 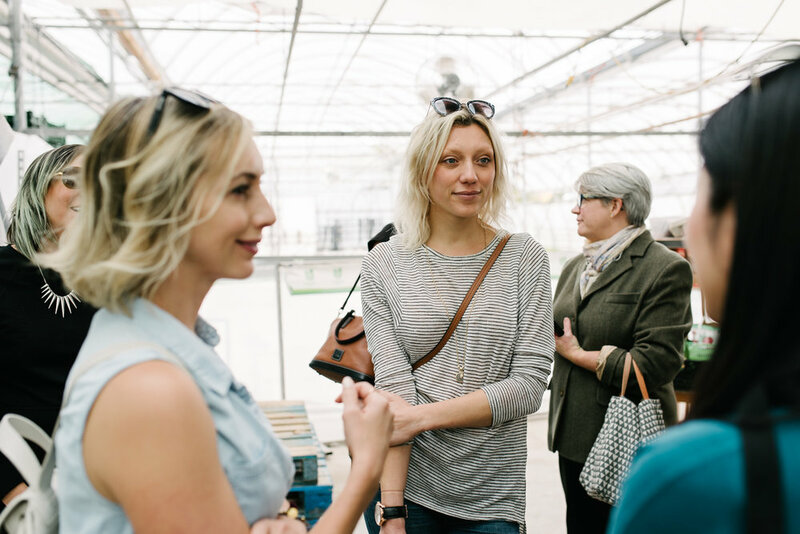 On a rather summer-like day in October, we all set out to Link Greenhouses near Bowmanville for the day. We were joined by Ellen Pruden of Manitoba Canola Growers, and Jeannette Andrashewski, a Canola Farmer from Alberta. On our way to the farm, we had the opportunity to talk to them about the health benefits of Canola oil, as well as the process of farming in Canada. As I have worked as a weather specialist for almost a decade, much of that time covering weather in the Prairies, I have a good understanding of just how complicated life as a farmer can be. As Western Canada has already had snow so early this year, it very likely means a huge challenge for farmers. It was an enlightening conversation, and we appreciated getting to know some of the people that bring food to us on a daily basis. 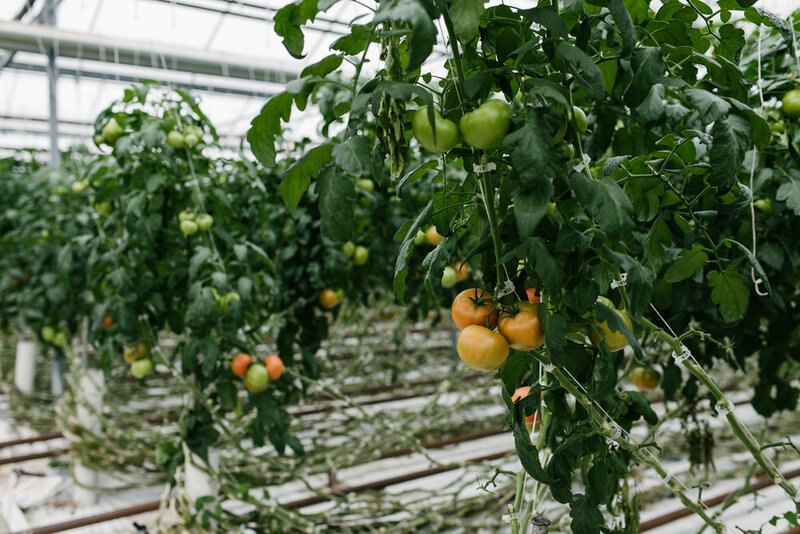 Once we arrived at the farm, owner Lisa Mulders took us on a tour of the facility, where we could see the process of growing lettuce, tomatoes, cucumbers and more in their greenhouses. As with Jeanette, I was impressed by her knowledge and passion for farming. 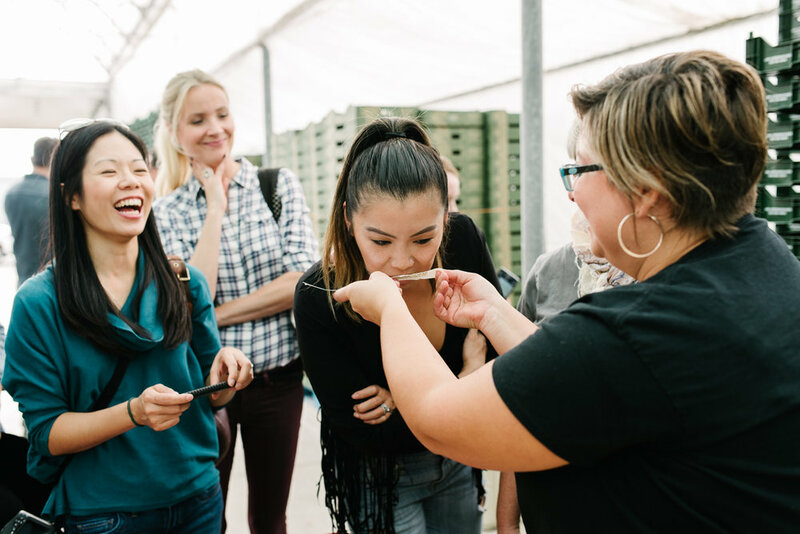 We also had the opportunity to do a little learning experiment known as the canola crush: the process by which the value of a canola seed crop is determined. By crushing a number of seeds and looking for the right colour (yellow, not green) and the amount of oil expressed, we could tell if the seeds were mature enough for harvest or not. ....with these small but mighty seeds. It takes a lot of seeds to make a little oil. Crushing canola seeds to determine their quality. They smell a little like popcorn. There are a lot of reasons why taking this little day trip appealed to me. I love food, and I love good food even more. 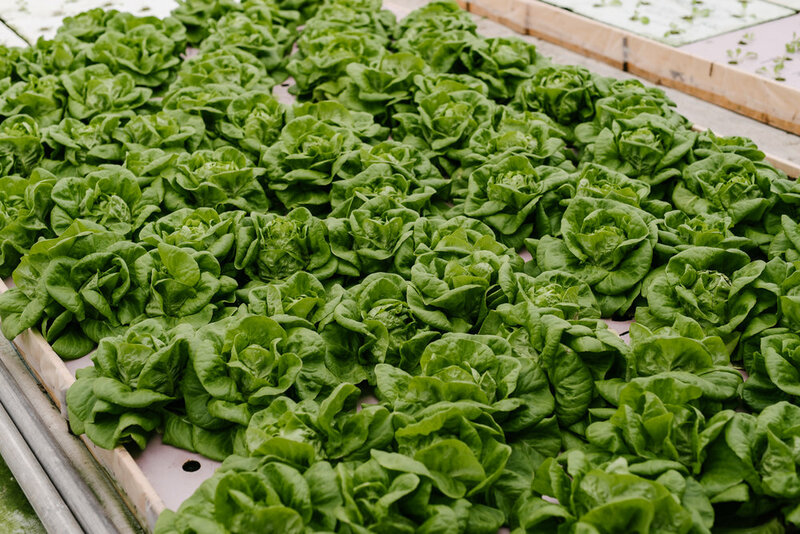 I want to be connected to where my food comes from, and understand the process by which it is grown. I love cooking and baking, and since becoming a parent, I love it even more. 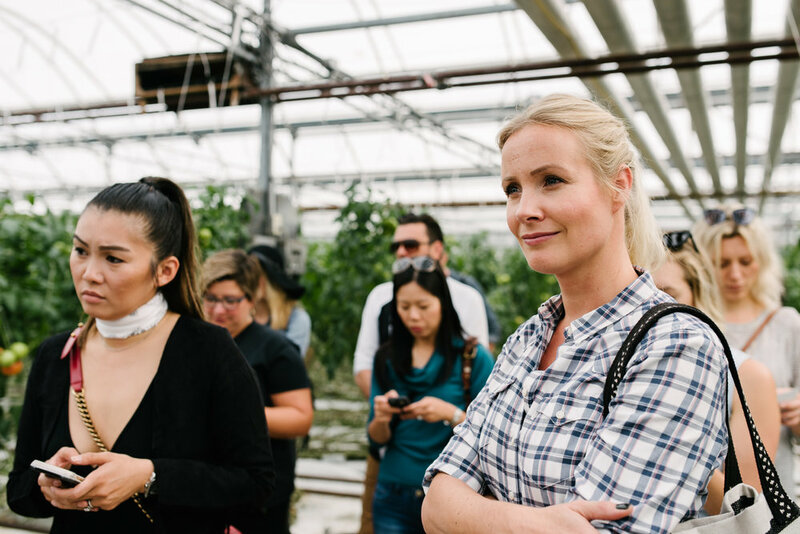 In fact, my relationship with food and interest in health has continued to evolve for the better since becoming a parent, and I think the other mamas that joined me on the trip all felt the same. The stakes are even higher, now that we are responsible for the well-being of our little ones. I did also mention that Victor Barry was making us lunch though, right? So there is also that. Canola oil is a good source of vitamins E and K and is packed with omega 3 fats. Omega 3 fats are an anti-inflammatory that can help protect against heart attacks and strokes. Our bodies don’t produce omega 3 fats, so we need to get them from food. Then I had the pleasure of introducing Chef Victor Barry to the group. I've worked with him for the past three years at Taste of Toronto and I have a great deal of respect for him. He's an incredibly talented chef and like me, loves to talk about food and dining. It's so obvious that he loves what he does. It was great to hear why he uses canola oil in his restaurant, and at home when cooking for his family. Introducing Chef Victor Barry of Piano Piano, who made an incredible lunch for us at the greenhouse. Then it was time for lunch. You pretty much know that's what I was looking forward to the most, right? (Back to that whole "I love good food" thing, etc. etc.) 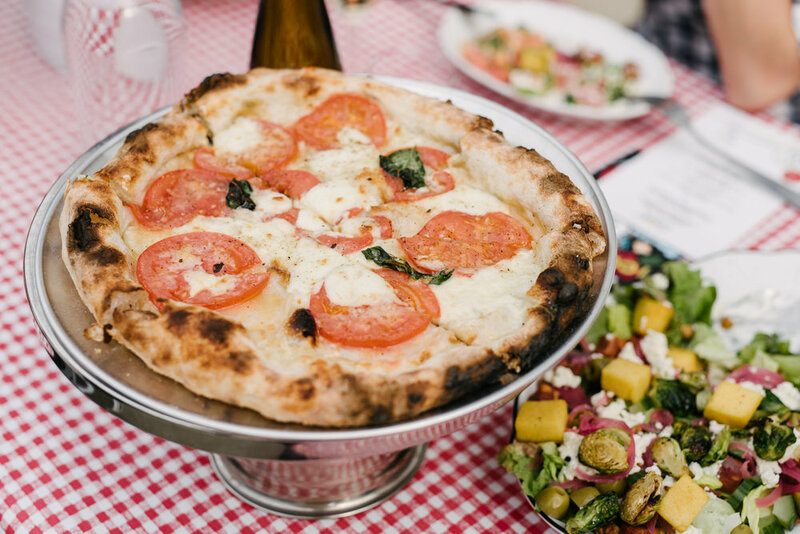 Not just any lunch - pizza, which is one of the most beloved things on the menu at his Piano Piano (and we had four to choose from!) , plus two of the best salads I have ever had, wine, and one seriously indulgent 77% Cacao Barry Chocolate Cake for dessert. 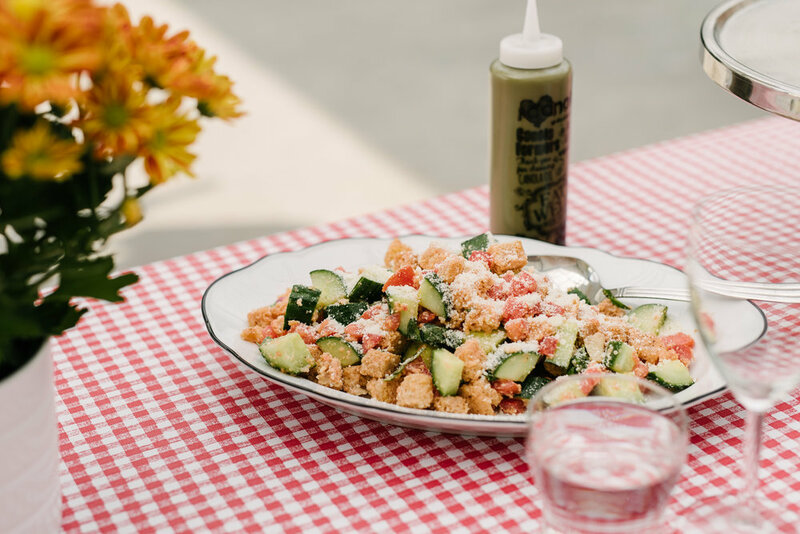 All of the menu items - including the pizza dough, the flavourful salad dressings - were made using canola oil, which showcased its versatility for cooking. Needless to say, it was a delicious meal, and we had a great time chatting about our families, food, and pretty much everything else. I feel lucky to have shared this day with a great group of friends (old and new) and have taken away with me a renewed appreciation for Canadian Farmers and food producers. They have an incredibly important job, and a very difficult one. It's important that we support what they do. 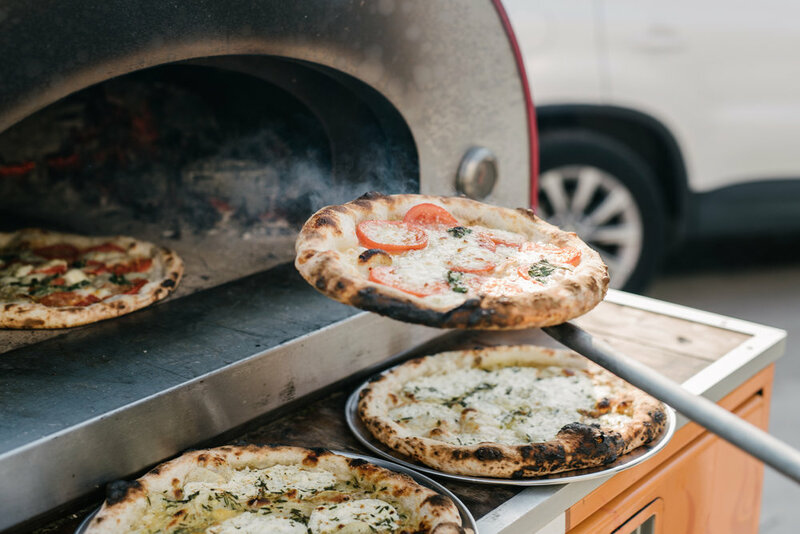 If you'd like to make a delicious pizza dough and sauce at home, here's a link to great recipes for both on the Canola Eat Well website. Have a glass of wine, make some pizza, and don't forget to invite me! All photos by Jeffrey Chan courtesy Canola Eat Well. Note: This post is sponsored as I was the host for the event, however all opinions and views are my own. 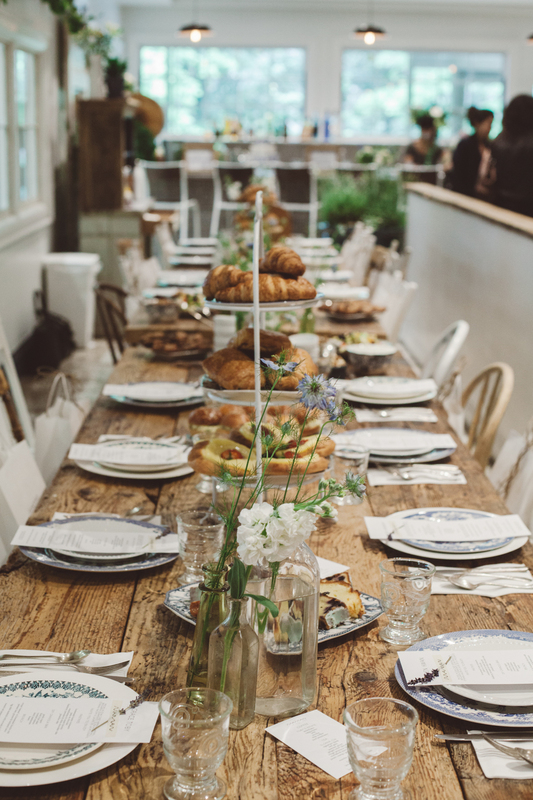 You don't want to serve just any old thing to your friends, especially in a setting this epic. My idea of an elevated snacking experience. 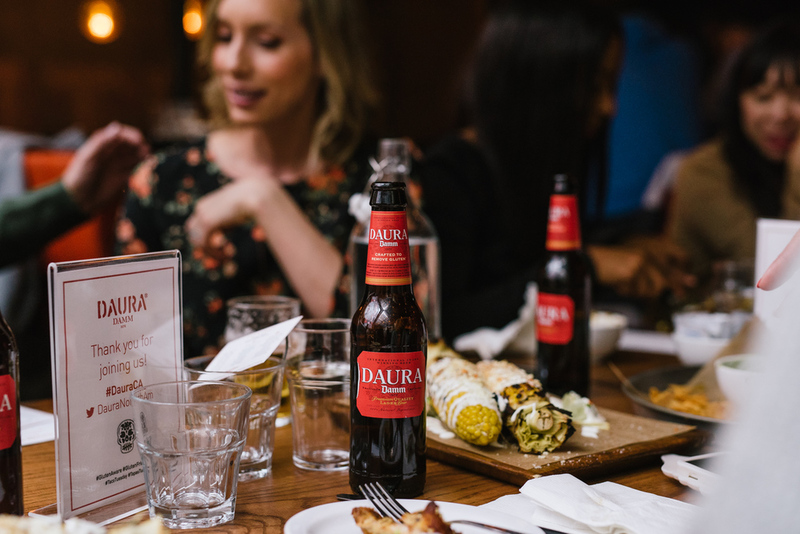 Great food, great friends, and delicious Daura Damm. Delicious options whether you need to avoid gluten or not. All photos by Jeffrey Chan courtesy Daura Damm. Tacos, beer, dessert, and more. All sorts of options are On The Menu (without compromise) at La Carnita with Daura Damm beer.....whether you're living gluten free, or not. That's right, even beer. Executive Chef Brent Maxwell making magic happen in the kitchen at East Thirty-Six. And by "magic" I mean all of my favourite things to eat. 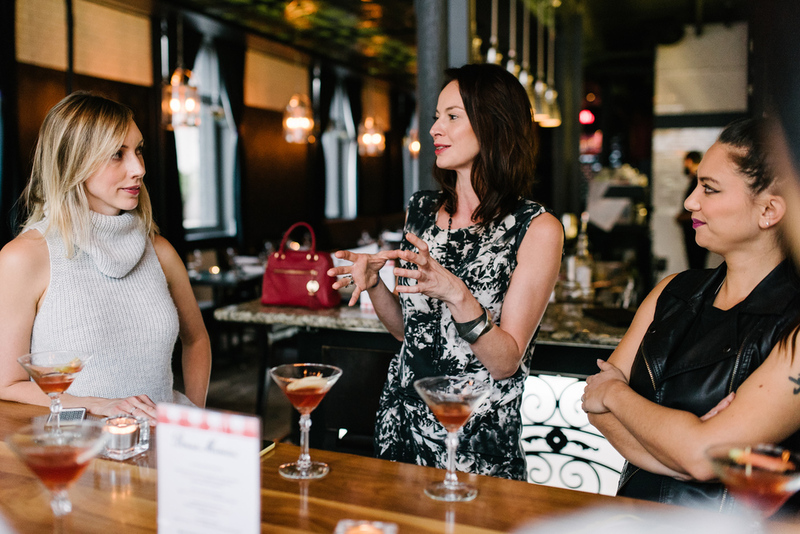 In my opinion, there are few better ways to unwind after a long day at work than chatting with friends over great food and drinks. You can keep your couches and TV marathons, I want to talk about the goings-on of the world over a great glass of wine and a few (or more) bites of something delicious. And then talk some more.....admittedly very much about TV marathons (a paradox I'm sure you can appreciate), actual marathons, politics perhaps, and who knows what else. I was feeling very much in need of such a night lately. Luckily, I was presented with just the right opportunity to do cinq a sept in style: round up some food-loving friends and head to East Thirty-Six on a Wednesday night where talented Executive Chef Brent Maxwell would whip up a multi-course menu for us to enjoy. TWIST MY ARM, right? Of course, there is a catch. All of the dishes would include, and be inspired by.......wait for it.....jam. Stay with me here. Just in case you think this is taking a turn for the unbearably saccharine, we're talking not just any chef, not just any crew, and certainly not just any jam. Brent was charged with the task of compiling a menu based on Bonne Maman preserves and spreads. These are sophisticated, delectable flavours that have been produced and well loved in France for decades. If Chef was up for the challenge, so was I. My hungry group of bon vivants (some of whom I work out with every week, so I know just how hungry they are) assembled at the fashionable nook that is East Thirty-Six. If you haven't been, this glossy gem on Wellington features carefully crafted cocktails and an indulgent sharing menu. Everything about it looks and feels like the kind of spot I want to be to shake off whatever kind of crazy has been going on in my week. Even if it was only Wednesday. Full disclaimer: I had no idea ahead of time what Chef Maxwell had planned for us, other than each item had to contain Bonne Maman flavours. It just happened to turn out that he included some of my absolute favourites foods in the night's menu. Not kidding. Duck confit, burrata, bone marrow, chocolate. To be a little on the macabre side, this is my idea of a "best last meal ever." And I more or less embarrassed myself completely by stating repeatedly how excited I was about that fact. So. EXCITED. Apparently I need to get out more often. You had me at hello: Duck Confit Croquettes with Red Currant Jam Cumberland Sauce. .....essentially the best burrata experience of my life. Roasted Bone Marrow,Chicken Liver & Chestnut Parfait with Grilled Bread. Possibly the world's most perfect food. Or as I like to call it, "meat butter." I think the look on my face here says "I literally can't even." There you have it. From start to finish, my idea of a perfect meal, all built around the type of ingredients you may already have in your cupboard. And if you don't......WHY NOT? Now if you'll excuse me I've got a spoon and a jar of Dulce de Leche that is calling my name. 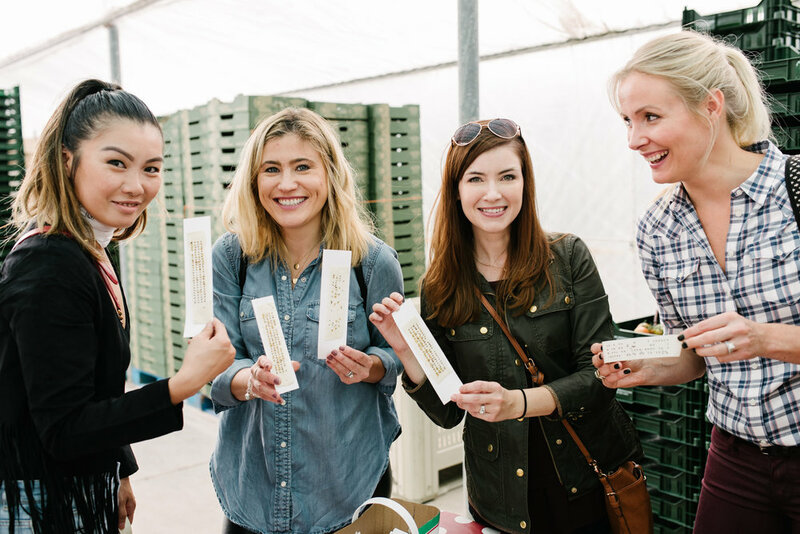 Of course everything tastes better when you share with friends. What a fine looking crew! We ate, we drank, we Instagrammed. Back row (from L to R): Joey Salmingo, Cory Lee, Executive Chef Brent Maxwell, Chef Christine Tizzard, Meghan Young, moi, Stacey Munro. Front: Vijaya Selvaraju & Libby Roach. All photos by Jeffrey Chan for Bonne Maman. The first Toronto FOOD & WINE events will take place in Toronto this September. Celebrity chefs, culinary stars, and of course incredible food and wine. Oh and hey, Chuck Hughes will be there. Pizza.....the ultimate vehicle for cheese. Estrella Damm's Tapas Journey runs August 14th - 23. Here's how it works: 20 participating restaurants in Toronto will offer 3 tapas + 1 Estrella Damm for the awesome price of $20. Maman has arrived in Toronto. Look no further for delicious pastries, lunchables, and cocktails. And the most perfect chocolate chip cookies......perhaps ever. I don't know about you, but I'm hungry. Looking back at Taste of Toronto 2014 brings back memories of too many delicious things to count. During what was the inaugural year of the festival in Toronto, I had the pleasure of sharing the Taste Theatre stage with chefs such as David Chang, Chuck Hughes, Mark McEwan and Roger Mooking as they talked about their passion for great food, and even showed us how to make some of their favourite dishes. It was nothing short of memorable. But .....have you seen the lineup for this year? It's amazing. 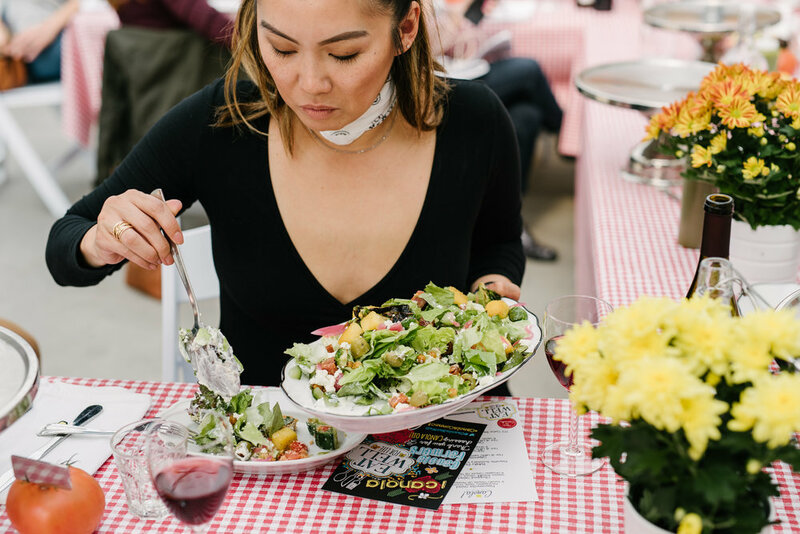 Check it out below or here on Taste of Toronto's website (with all the other details you need to know, including tickets, restaurants that will be taking part and more). See you at Fort York July 2-5. You do have your tickets, right? 6.00-6.30 Cory Vitiello – The Harbord Room and THR & Co.
*Timetable may be subject to change. Twice a year, the One Of A Kind Show brings a slew of amazing artisans all under one roof in Toronto. 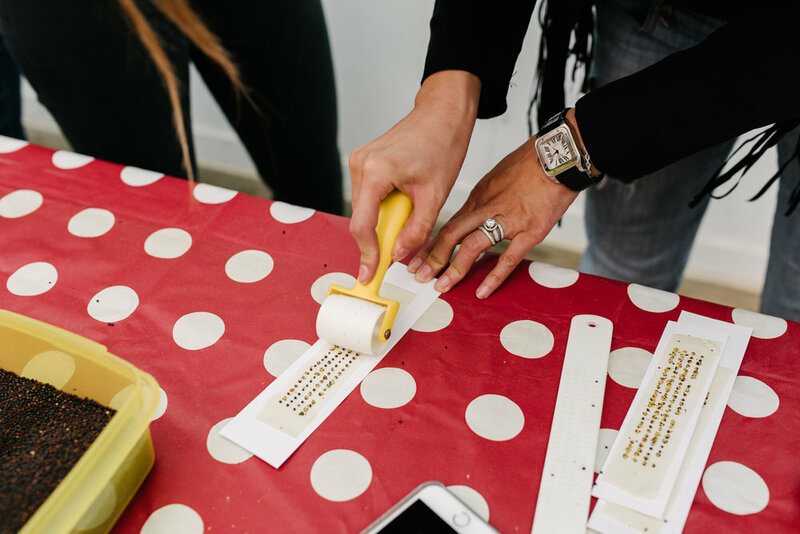 Whether you're into food, fashion, art, beauty or many other marvels of craftiness - there is likely something wonderful there waiting for you. I was lucky enough to get a quick sneak peek at the show, and here are a couple of my favourites. Lee's Ghee is hand crafted in small batches using unsalted, organic, cultured butter as a base for all of the flavours. 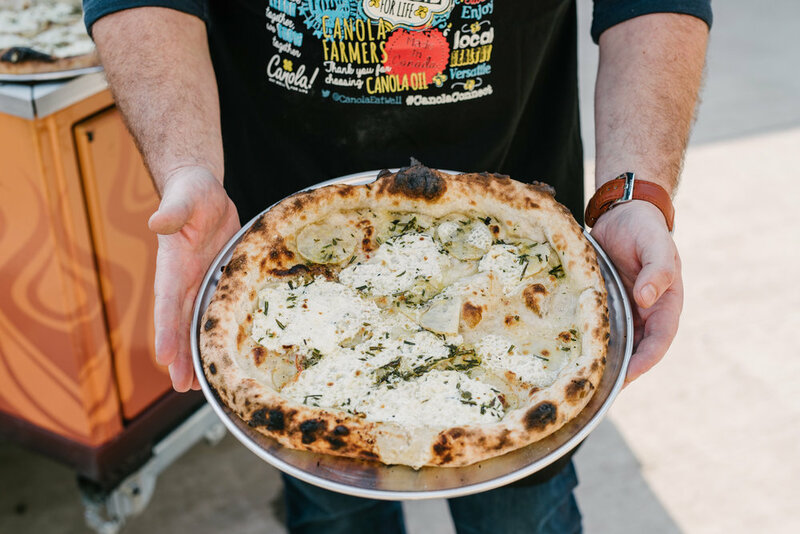 They use locally-sourced Organic Meadow butter from Ontario, which is primarily grass-fed. Another big thumbs up for that. If you're just looking for a basic ghee, there is the Plain Jane non-flavour, which is really delicious. To get even more adventurous, there are infused flavours on the sweeter side like Cardamom Kiss (my fave! ), Noisette, and Blind Date. If savoury is more your thing, go for Sage City or Gold Standard, which has all the amazing benefits of tumeric. Can't wait to cook with this ghee....or even better, make some next-level buttered coffee with that Cardamom Kiss flavour. You can find Lee's Ghee at the Spring OOAK at booth B57 until March 29th, or visit their website and shop there. Opelle designs based on the philosophy of New Luxury - closing the gap between traditional luxury and fast fashion, and I'd say they hit the mark very well on that. Each bag is crafted in Toronto, made of incredible quality leather that is as ethically-sourced as possible. I'd love to collect them all, to be honest. Definitely worth checking out either at the show this weekend, online, or at their new Toronto showroom. Need a dose of whimsy in your life? Look no further than Booth E05 for greeting cards and gifts that make you smile and say "awwww". Affordable, adorable, and made here in Toronto by Queenie Best, Queenie's Cards offer a great alternative to those same old boring mass-produced greeting cards. The line has now expanded to include other gift items like clothing, mugs, iPhone cases and more, which you can find at the OOAK Show or online here. Passionate about chocolate? Looking for a mid-OOAK show pick me up? Or perhaps an alternative to that drugstore Easter Bunny chocolate-ish product? Head to booth C41. That's where you'll find Odile Chatelain, a Parisian transplant who has honed her chocolate-making skills over a 30-year career in the culinary industry. Odile Chocolat's handmade truffles tempt with flavours like the Mexicana (tequila, candied lime peel & chipotle pepper), Bollywood (cardamom & silver leaf), and Tahitian Vanilla with Candied Lime Peel, plus wonderful salted caramels and a variety of hot chocolates. Visit Odile at the OOAK show or at their storefront at 829 Dundas Street West in Toronto. Taste of Toronto is BACK for 2015.....and so am I! Last year I had the pleasure of hosting Taste Theatre at the first ever Taste of Toronto. 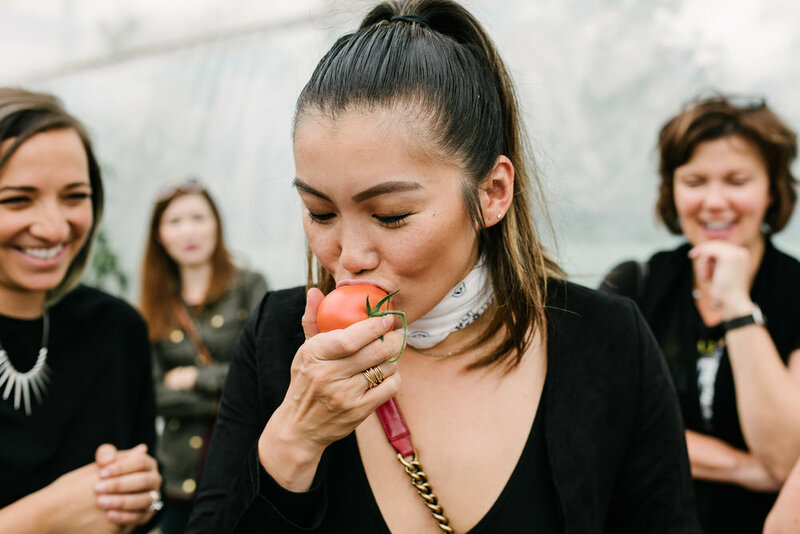 It was a pretty incredible experience - four days of delicious food and drink experiences showcasing the best of Toronto's restaurant scene and beyond. 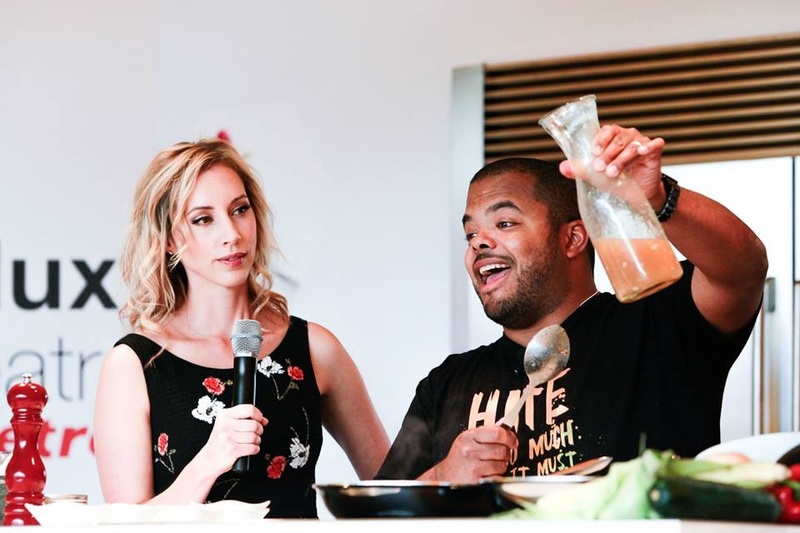 My job was a pretty easy one: interviewing an amazing lineup of chefs and food personalities such as David Chang, Chuck Hughes, Mark McEwan, Roger Mooking, Christina Tosi.....the list goes on. Of course, they also cooked....and I got to taste. Set at Fort York, Taste of Toronto returns July 2-5, 2015. Once again, the lineup of restaurants, chefs and vendors involved is looking nothing short of impressive. I'm nothing short of thrilled to be there again this year. Be sure that you don't miss out. You can get all the updates about Taste of Toronto here. Freshii Launches #JuiceCleanseEnergize - The Easy to Love Juice Cleanse! 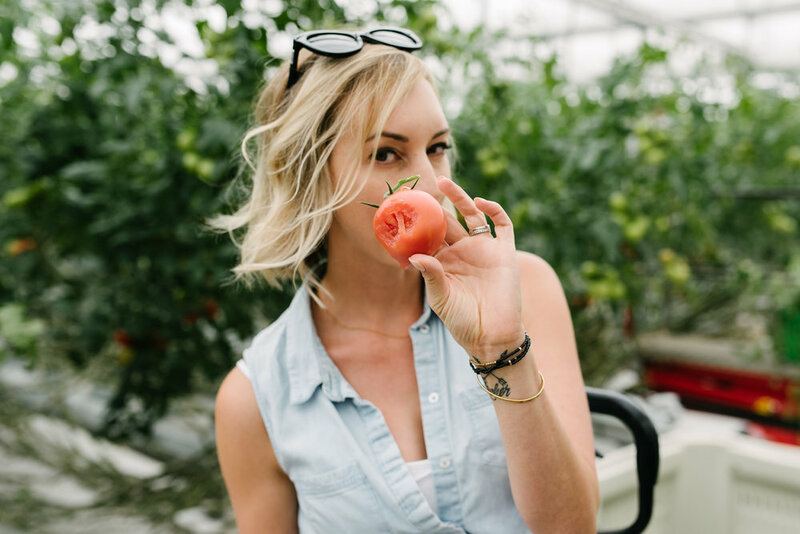 If you have ever wanted to try a juice cleanse, but are intimidated by that whole "not eating solid food" thing, then Freshii has the answer for you! 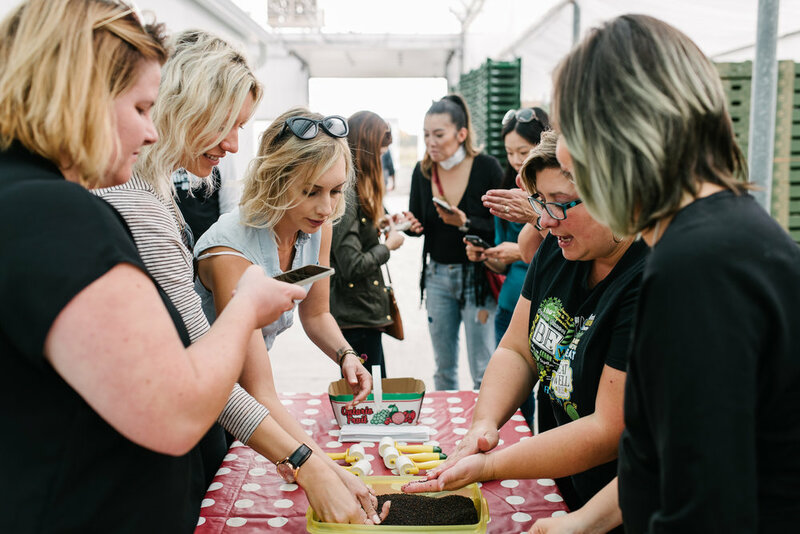 Recently I had the pleasure of checking out Freshii's Blogger Breakfast hosted by Sasha Exeter, where I learned about the new "Juice.Cleanse.Energize." program. Every day on the cleanse includes 4 delicious nutrient dense juices (Green Energy, Carrot Zinger, Red Power and my favourite, Mighty Detox) plus a Metaboost Salad. So, that means that whether you are doing a one, three, or five day cleanse, you get to end each day with actual, chewable food - and still get the benefits of cleansing. In addition to the juices, we sampled a few items beyond the Juice. Cleanse. Energize. program like the delicious coffee from White Squirrel available at Freshii's Rosedale location, and breakfast items like wraps and yogourt parfaits. All healthy, fast options for breakfast on the go. There I am.....likely instagramming away...... I also took a full-sized Mighty Detox juice with me to go because, as I said, it was my fave! Image courtesy Natalie Sorichetti. To find out more about Freshii's Juice. Cleanse. Energize. program, contact them at juice@freshii.com.